Tamure room was spacious, modern with good air conditioning. The view of the sea was beautiful. - The bar drinks were good value and bar staff kind. They have these new rooms called Tamure rooms. Real nice. That's what I got, so my experience may be better than others. I liked some of the staff who were friendly , area off hotel was convenient. food is good there. However they need help when making cocktails not done very well. Staff we dealt with were very helpful and friendly. 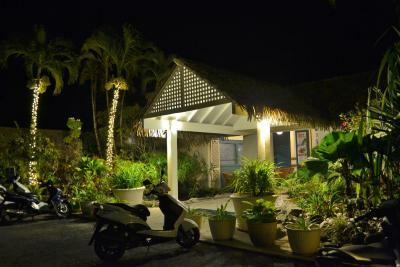 The hotel dining was really good and great value, whilst the pool bar and housekeeping staff were great, friendly and warm. 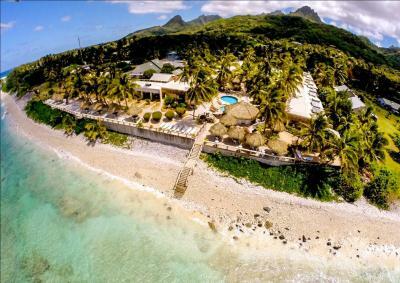 Club Raro is also close to the Airport and the Avarua town centre (10mins) and approx 15-20mins away from Muri Lagoon and Titikaveka which IMO has the best snorkeling. Cleaning staff, restaurant staff and security guys super friendly. Great location and close to town, restaurants and good beaches a short bike or bus ride away. 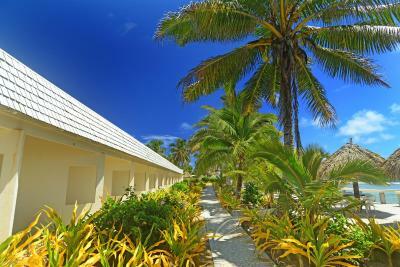 We stayed here overnight on our way to Aitutaki. It was convenient being close to the airport. Breakfast was included. Breakfast buffet was decent and staff were really nice. You can leave your bags at the hotel after checkout. good location beach front. We did not expect much as it is rated 3.5 stars and this is pretty accurate. 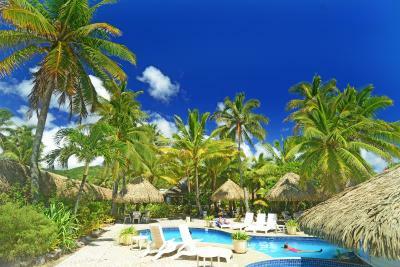 Club Raro Resort This rating is a reflection of how the property compares to the industry standard when it comes to price, facilities and services available. It's based on a self-evaluation by the property. Use this rating to help choose your stay! 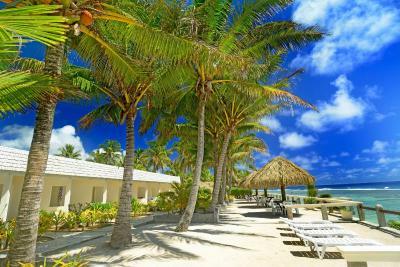 One of our top picks in Rarotonga.This beachfront resort is set among beautiful mosaic pathways, swaying palm trees and tropical gardens. 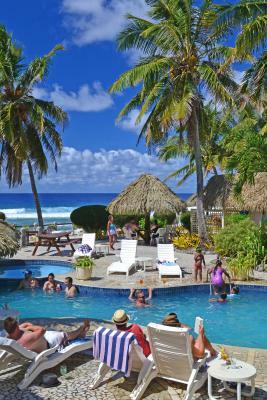 Guests can relax around the swimming pool or enjoy cocktails at the swim-up bar. 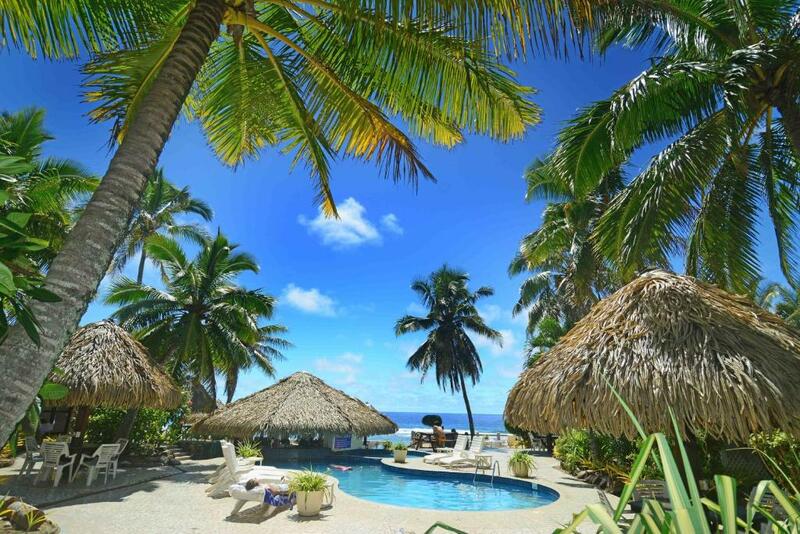 Club Raro Resort is located just 1.6 mi from Rarotonga International Airport and 0.9 mi from the shops, banks, restaurants and bars in Avarua town center. 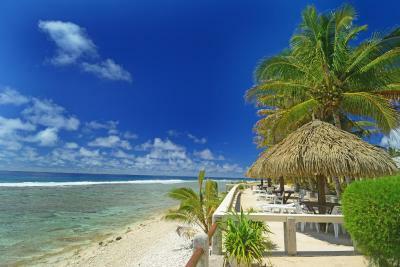 Avarua is a great choice for travelers interested in scenery, food and sunshine. When would you like to stay at Club Raro Resort? Area Info – This neighborhood is a great choice for travelers interested in scenery, food and sunshine – Check location Great location - show map Guests loved walking around the neighborhood! 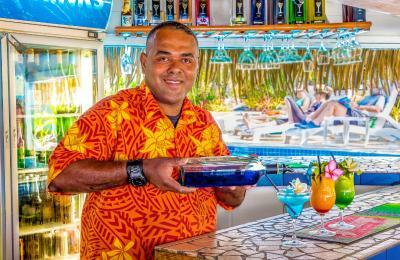 House Rules Club Raro Resort takes special requests – add in the next step! 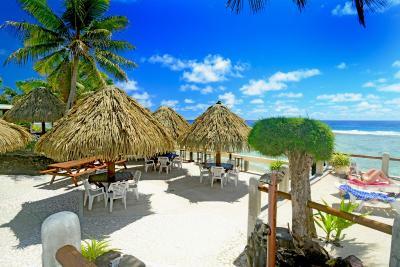 Club Raro Resort accepts these cards and reserves the right to temporarily hold an amount prior to arrival. 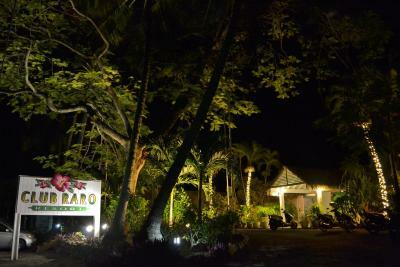 Please inform Club Raro Resort of your expected arrival time in advance. You can use the Special Requests box when booking, or contact the property directly using the contact details in your confirmation. Being lied to! 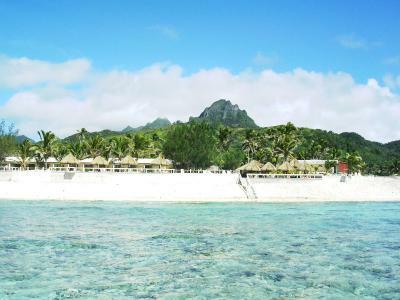 As soon as we arrived in raro we were greted with the shuttle with from the airport to our acomadation. 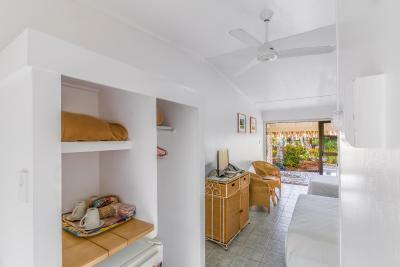 I asked several times what is the cost (as we didn't book this avcomadatio) and what is the charge to the reply of "we don't charge you, it's curtecy of our accomadation" with no indication of any changes we used the shuttle (3min drive) to our booked accommodation CLUB RARO. Only to find once we check out that will be $40 (20 per person). This experience represented much of our trip. Hidden costs and fees every where, even though we are asking specifically about potential fees. The staff were not overly helpful & often seemed to be on holiday themselves. The food options were very limited (especially for someone with allergies), the dining room & outdoor areas were dirty & we even had chickens jumping on tables to eat food directly off plates in the outdoor seating. The first room we were given smelt of urine. The room we were given was fine, the airconditioner didnt do alot for us. The rooms a really dated. The whole place could do with a refurb, pricey for the out dated venue. One of the receptionists was rude, unprofessional, lacking seriously in customer service. The swimming pool needs to ve updated. It also needs to be cleaned daily. It wasnt been maintained. Place is outdated. 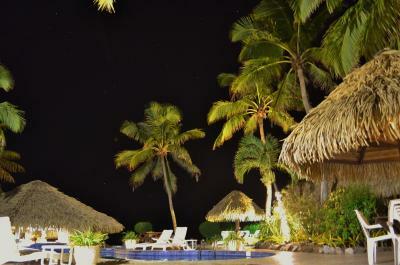 But overall, club raro was good. Clean, & tidy. I would stay there again. Great location. Some tiles outside no.31 were broken and loose. Could do to have a retractable line in bathroom to hang up our underwear. Bars at the resort don’t open until 11.30 and then close at 9pm every night. We traveled around abit to to enjoy other resorts happy hours and booze because of this. - The location is a little away from everything. Hiring a car or scooter will help. - The WiFi situation is unnecessary. You have to purchase their own version at a high cost for small amount of data. Most other parts of the island use a different provider which is not valid in the hotel so you need to buy theirs separately. - Transfers were more expensive than a taxi. - Queueing for a table at breakfast.